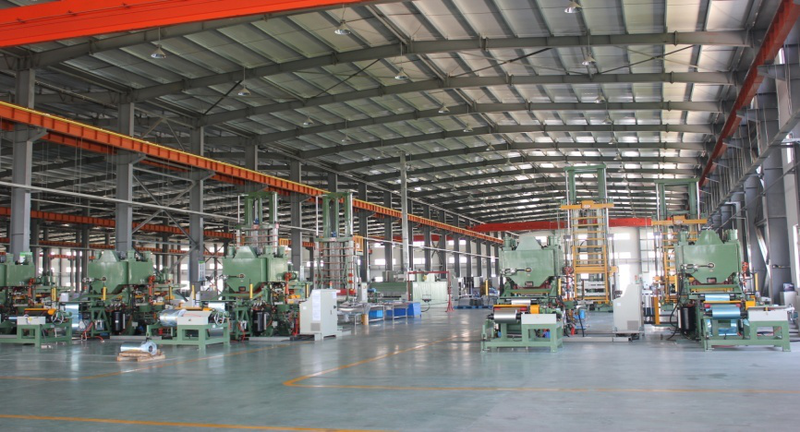 Jiangsu Tongsheng Heat Exchanger Co.,Ltd was established in 2011 with the registered capital 50,000,000 yuan, it covers an area of more than 100,000 square metres. It specializes in professional development and production of finned heat exchanger for air conditioning and refrigeration, providing related technology service. Our heat exchangers are widely used in industrial and commercial air-conditioning, household air-conditioning, bus air-conditioning, marine air-conditioning, food cold-chain equipment and so on. Our company aims at “develop and provide high-efficiency heat exchanger, enhance the customer’s product value” and insists the strategic concept of “ professional, high starting point，high standard”. Now the company has 6 separated production lines which can produce all kinds of heat exchanger, about 600000 sets per year. At the same time, in order to enhance the company’s technology research and development, technical service and quality guarantee capabilities, the company continues to increase investment in research and development, and carries out technical cooperation with domestic first-class research institutes, introduction of technology talents and construction of CAE system and test equipment. Now the company has gradually become specialized company with independent intellectual property rights and has provided customers with value-added services. After years of efforts, the company's products have been recognized by well-known brands, such as Samsung, LG,Bosch,Hisense/Hitachi,Midea,TCL, A.O Smith, Ariston. At the same time our heat exchangers are exported to many other countries, such as Australia, New Zealand, USA, the Middle East and so on. copyright © Jiangsu Tongsheng Heat Exchanger Co.,Ltd All rights reserved.